srIvaishNava granthams – virOdhi parihArangaL part 3 – https://srivaishnavagranthamshindi.wordpress.com/2015/10/02/virodhi-pariharangal-3/ based on http://ponnadi.blogspot.com/2013/12/virodhi-pariharangal-3.html – hindi translation by kEshav swamy. Full series can be viewed at https://srivaishnavagranthamshindi.wordpress.com/virodhi-pariharangal/ . guruparamparai hindi – eRumbi appA – life and glories in hindi – https://guruparamparaihindi.wordpress.com/2015/10/02/erumbiappa/ – new article by bhagavathi ammangar based on https://guruparamparai.wordpress.com/2012/10/27/erumbiappa/ . Please visit https://guruparamparaihindi.wordpress.com/2013/08/29/introduction-2/ to see the full list. dhivya prabandham – thiruvAimozhi 1.9.2 – sUzhal palapala – http://divyaprabandham.koyil.org/index.php/2015/10/thiruvaimozhi-1-9-2-suzhal-palapala/ . Full series can be viewed at http://divyaprabandham.koyil.org/?page_id=23 . srIvaishNava granthams hindi – prapAnnAmrutham essence in hindi (15 chapters – 56 to 70, added) – https://srivaishnavagranthamshindi.wordpress.com/prapannamrutha-hindi-essence/ . bhagavath gIthA – chapter 1 verse 1 – http://githa.koyil.org/index.php/1-1/ (Simple) based on http://githa.koyil.org/index.php/1-1-original/ (Original) – simplified by srIvEnkatEsan swamy. kaNNinuN chiRuth thAmbu pAsuram 9 – http://divyaprabandham.koyil.org/index.php/2015/10/kanninun-chiruth-thambu-telugu-9/ based on http://divyaprabandham.koyil.org/index.php/2015/02/kanninun-chiruth-thambu-9-mikka-vedhiyar/ – telugu translation by chUdAmaNi ammangar and published by shashidhar swamy. Full series at http://divyaprabandham.koyil.org/index.php/2015/06/kanninun-chiru-thambu-telugu/ . thiruvAimozhi 1.9.1 – ivaiyum avaiyum – http://divyaprabandham.koyil.org/index.php/2015/10/thiruvaimozhi-1-9-1-ivaiyum-avaiyum/ . Full series can be viewed at http://divyaprabandham.koyil.org/?page_id=23 . dhivya prabandham – thiruvAimozhi 1.9 – ivaiyum – http://divyaprabandham.koyil.org/index.php/2015/09/thiruvaimozhi-1-9-ivaiyum/ . Audio recording of this decad can be listened from http://divyaprabandham.koyil.org/index.php/2015/09/thiruvaimozhi-1-9-audio/ . Full series can be viewed at http://divyaprabandham.koyil.org/?page_id=23 . This entry was posted in Uncategorized on September 30, 2015 by Sarathy Thothathri. bhagavath gIthA – chapter 1 (Introduction section) – http://githa.koyil.org/index.php/chapter-1/ (Simple) based on http://githa.koyil.org/index.php/chapter-1-original/ (Original) – simplified by srIvEnkatEsan swamy. dhivya prabandham – thiruvAimozhi 1.8.11 – nIr purai – http://divyaprabandham.koyil.org/index.php/2015/09/thiruvaimozhi-1-8-11-nir-purai/ . Full series can be viewed at http://divyaprabandham.koyil.org/?page_id=23 . thiruvAimozhi 1.8.10 – nAthan gyAlam – http://divyaprabandham.koyil.org/index.php/2015/09/thiruvaimozhi-1-8-10-nathan-gyalam/ . Full series can be viewed at http://divyaprabandham.koyil.org/?page_id=23 . rAmAnusa nURRanthAdhi pAsuram 8 – http://divyaprabandham.koyil.org/index.php/2015/09/ramanusa-nurranthadhi-8/ – English translation by raghurAm swamy. Full series can be viewed at http://divyaprabandham.koyil.org/index.php/2015/07/ramanusa-nurranthadhi/ . 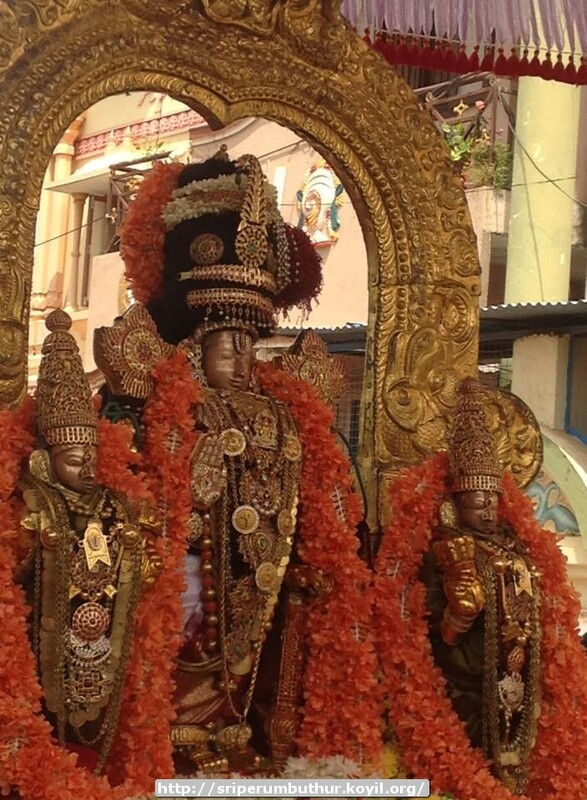 thirumangai AzhwAr – life and glories in thamizh – https://guruparamparaitamil.wordpress.com/2015/09/27/thirumangai-azhwar/ – new article by sadagOpan swamy based on https://guruparamparai.wordpress.com/2013/01/23/thirumangai-azhwar/ . Please visit https://guruparamparaitamil.wordpress.com/2015/03/14/introduction-2/ to see the full list. kOyil kandhAdai aNNan – life and glories in thamizh – https://guruparamparaitamil.wordpress.com/2015/09/27/koyil-annan/ – new article by magizhmARan swamy based on https://guruparamparai.wordpress.com/2013/10/16/koil-kandhadai-annan/ . Please visit https://guruparamparaitamil.wordpress.com/2015/03/14/introduction-2/ to see the full list. dhivya prabandham – thiruvAimozhi 1.8.9 – sangu chakkaram – http://divyaprabandham.koyil.org/index.php/2015/09/thiruvaimozhi-1-8-9-sangu-chakkaram/ . Full series can be viewed at http://divyaprabandham.koyil.org/?page_id=23 . kaNNinuN chiRuth thAmbu audio recording uploaded at http://divyaprabandham.koyil.org/index.php/2015/09/kanninun-chiruth-thambu-audio . thiruvAimozhi 1.8.8 – AnAn Anayan – http://divyaprabandham.koyil.org/index.php/2015/09/thiruvaimozhi-1-8-8-anan-anayan/ . Full series can be viewed at http://divyaprabandham.koyil.org/?page_id=23 . This entry was posted in Uncategorized on September 26, 2015 by Sarathy Thothathri. dhivya prabandham – thiruvAimozhi 1.8.7 – koNdAn Ezhvidai – http://divyaprabandham.koyil.org/index.php/2015/09/thiruvaimozhi-1-8-7-kondan-ezhvidai/ . Full series can be viewed at http://divyaprabandham.koyil.org/?page_id=23 . dhivya prabandham – thiruvAimozhi 1.8.6 – kalanthu ennAvi – http://divyaprabandham.koyil.org/index.php/2015/09/thiruvaimozhi-1-8-6-kalanthu-ennavi/ . Full series can be viewed at http://divyaprabandham.koyil.org/?page_id=23 . purattAsi sravaNam (today) – vEdhAnthAchAryar thirunakshathram – Life and glories in multiple languages – http://acharyas.koyil.org/index.php/vedhanthacharyar/ . srI rAmAnuja dharsanam – e-magazine – August/Adi – hindi Issue recently released and can be viewed at http://www.varavaramuni.com/home/sriramanuja-dharsanam-magazine/hindi . 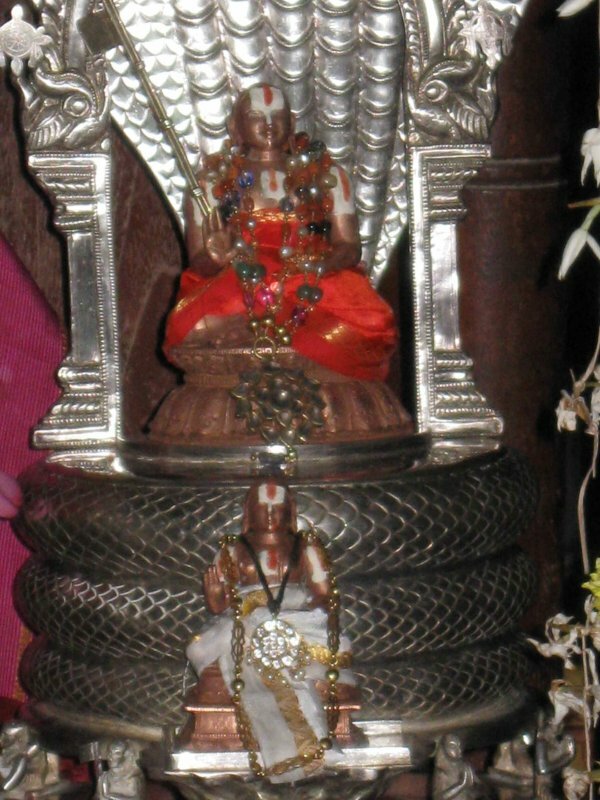 guru paramaparai – vadakkuth thiruvIdhip piLLai – life and glories in thamizh – https://guruparamparaitamil.wordpress.com/2015/09/23/vadakku-thiruvidhi-pillai/ – new article by renga rAmAnujam swamy based on http://guruparamparai.wordpress.com/2012/09/17/vadakku-thiruveedhi-pillai/ . Please visit https://guruparamparaitamil.wordpress.com/2015/03/14/introduction-2/ to see the full list. dhivya prabandham – thiruvAimozhi 1.8.5 – vaigalum veNNey – http://divyaprabandham.koyil.org/index.php/2015/09/thiruvaimozhi-1-8-5-vaigalum-venney/ . Full series can be viewed at http://divyaprabandham.koyil.org/?page_id=23 . nampiLLai – life and glories in thamizh – https://guruparamparaitamil.wordpress.com/2015/09/22/nampillai/ – new article by renga rAmAnujam swamy and echchUr srinivAsan swamy based on https://guruparamparai.wordpress.com/2012/09/16/nampillai/ . Please visit https://guruparamparaitamil.wordpress.com/2015/03/14/introduction-2/ to see the full list. new presentation – AzhwAr thUthu (sending messages to bhagavAn) in thiruvAimozhi English – http://1drv.ms/1KwRGLZ – archived in http://pillai.koyil.org/index.php/presentations/ and https://srivaishnavagranthams.wordpress.com/presentations/ . Thanks to pArthasArathy swamy for his help in preparing the presentation. dhivya prabandham – thiruvAimozhi 1.8.4 – veRpai onRu – http://divyaprabandham.koyil.org/index.php/2015/09/thiruvaimozhi-1-8-4-verpai-onreduththu/ . Full series can be viewed at http://divyaprabandham.koyil.org/?page_id=23 . bhagavath vishayam kAlakshEpam by srI u vE bhUvarahAchArya swamy, AzhwArthirunagari – live streaming – http://www.ustream.tv/channel/bhaktaamrutam – IST 530pm to 630pm (Any change will be emailed/sms) – Please contact mukundk1@gmail.com for more details. kaNNinuN chiRuth thAmbu pAsuram 8 – http://divyaprabandham.koyil.org/index.php/2015/09/kanninun-chiru-thambu-telugu-8/ based on http://divyaprabandham.koyil.org/index.php/2015/02/kanninun-chiru-thambu-8-arul-kondadum/ – telugu translation by chUdAmaNi ammangar and published by shashidhar swamy. Full series at http://divyaprabandham.koyil.org/index.php/2015/06/kanninun-chiru-thambu-telugu/ . thiruvAimozhi 1.8.3 – kaNNAvAn – http://divyaprabandham.koyil.org/index.php/2015/09/thiruvaimozhi-1-8-3-kannavan/ . Full series can be viewed at http://divyaprabandham.koyil.org/?page_id=23 . thiruvAimozhi 1.8.2 – ammAnAy – http://divyaprabandham.koyil.org/index.php/2015/09/thiruvaimozhi-1-8-2-ammanay/ . Full series can be viewed at http://divyaprabandham.koyil.org/?page_id=23 . thiruvAimozhi 1.8.1 – Odum puLLERi – http://divyaprabandham.koyil.org/index.php/2015/09/thiruvaimozhi-1-8-1-odum-pulleri/ . Full series can be viewed at http://divyaprabandham.koyil.org/?page_id=23 . thiruvAimozhi 1.6 – English – e-book link available at http://divyaprabandham.koyil.org/index.php/2015/03/thiruvaimozhi-1st-centum/ and http://divyaprabandham.koyil.org/index.php/e-books/ . Thanks to parAsaran (pradeep) swamy for preparing the e-book. Full series can be viewed at http://divyaprabandham.koyil.org/?page_id=23 . This entry was posted in Uncategorized on September 19, 2015 by Sarathy Thothathri. srIvaishNava granthams – virOdhi parihArangaL part 2 – https://srivaishnavagranthamshindi.wordpress.com/2015/09/18/virodhi-pariharangal-2/ based on http://ponnadi.blogspot.in/2013/12/virodhi-pariharangal-2.html – hindi translation (new article) by kEshav swamy. Full series can be viewed at https://srivaishnavagranthamshindi.wordpress.com/virodhi-pariharangal/ . dhivya prabandham – thiruvAimozhi 1.8 – OdumpuL – http://divyaprabandham.koyil.org/index.php/2015/09/thiruvaimozhi-1-8-odumpul/ . Audio recording of this decad can be listened from http://divyaprabandham.koyil.org/index.php/2015/09/thiruvaimozhi-1-8-audio/ . Full series can be viewed at http://divyaprabandham.koyil.org/?page_id=23 . thiruvAimozhi 1.7.11 – kudainthu vaNduNNum – http://divyaprabandham.koyil.org/index.php/2015/09/thiruvaimozhi-1-7-11-kudainthu-vandunnum/ . Full series can be viewed at http://divyaprabandham.koyil.org/?page_id=23 . dhivya prabandham – thiruvAimozhi 1.7.10 – agalil agalum – http://divyaprabandham.koyil.org/index.php/2015/09/thiruvaimozhi-1-7-10-agalil-agalum/ . Full series can be viewed at http://divyaprabandham.koyil.org/?page_id=23 . new website announcement – AzhwArthirunagari AththAn thirumALigai – AvaNi hastham (yesterday) was the annual thirunakshathram of AththAn (Aptha) swamy and we are happy to announce the release of this website on this auspicious occasion. Please visit http://aathaan.koyil.org/index.php/vaibhavam/ for more details. Right now, we are starting with kIzha (east) thirumALigai and all the details are in thamizh, in the future, English version of the same will be uploaded as well. Details gathered/uploaded in the website by vEnkatAchAri swamy. dhivya prabandham – thiruvAimozhi 1.7.9 – amarar muzhumuthal – http://divyaprabandham.koyil.org/index.php/2015/09/thiruvaimozhi-1-7-9-amarar-muzhumudhal/ . Full series can be viewed at http://divyaprabandham.koyil.org/?page_id=23 . bhagavath gIthA – Preface – http://githa.koyil.org/index.php/preface/ (simple) based on http://githa.koyil.org/index.php/preface-original/ (original). kaNNinuN chiRuth thAmbu pAsuram 7 – http://divyaprabandham.koyil.org/index.php/2015/09/kanninun-chiru-thambu-telugu-7/ based on http://divyaprabandham.koyil.org/index.php/2015/02/kanninun-chiru-thambu-7-kandu-kondu/ – telugu translation by chUdAmaNi ammangar and published by shashidhar swamy. Full series at http://divyaprabandham.koyil.org/index.php/2015/06/kanninun-chiru-thambu-telugu/ . thiruvAimozhi 1.7.8 – ennai negizhkkilum – http://divyaprabandham.koyil.org/index.php/2015/09/thiruvaimozhi-1-7-8-ennai-negizhkkilum/ . Full series can be viewed at http://divyaprabandham.koyil.org/?page_id=23 . dhivya prabandham – thiruvAimozhi 1.7.7 – yAn otti – http://divyaprabandham.koyil.org/index.php/2015/09/thiruvaimozhi-1-7-7-yan-otti/ . Full series can be viewed at http://divyaprabandham.koyil.org/?page_id=23 . rAmAnusa nURRanthAdhi pAsuram 7 – http://divyaprabandham.koyil.org/index.php/2015/09/ramanusa-nurranthadhi-7/ – English translation by raghurAm swamy. Full series can be viewed at http://divyaprabandham.koyil.org/index.php/2015/07/ramanusa-nurranthadhi/ . thiruvAimozhi 1.7.6 – pirAn perunilam – http://divyaprabandham.koyil.org/index.php/2015/09/thiruvaimozhi-1-7-6-piran-perunilam/ . Full series can be viewed at http://divyaprabandham.koyil.org/?page_id=23 . thiruppaLLiyezhuchchi audio recording uploaded at http://divyaprabandham.koyil.org/index.php/2015/09/thiruppalliyezhuchchi-audio/ . 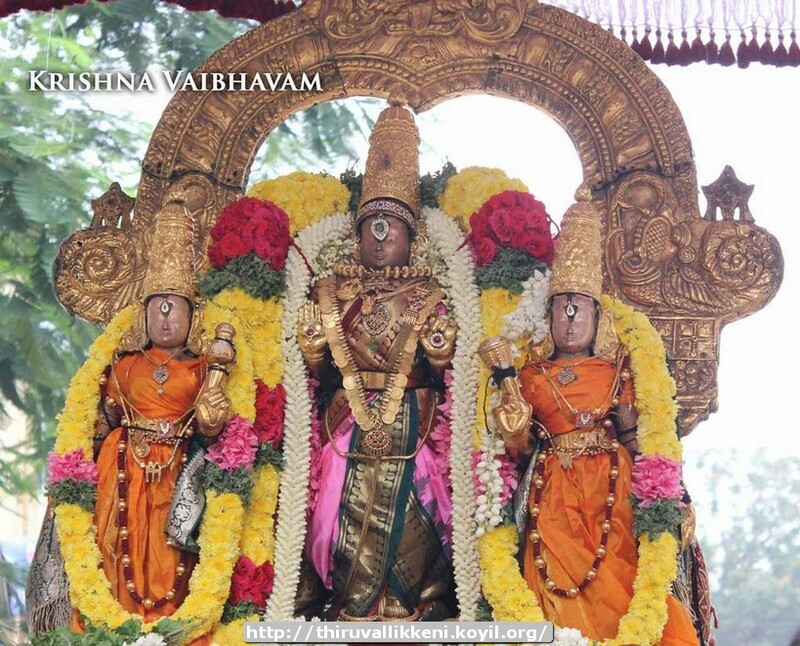 dhivya prabandham – thiruvAimozhi 1.7.5 – viduvEnO en viLakkai – http://divyaprabandham.koyil.org/index.php/2015/09/thiruvaimozhi-1-7-5-viduveno-en-vilakkai/ . Full series can be viewed at http://divyaprabandham.koyil.org/?page_id=23 . 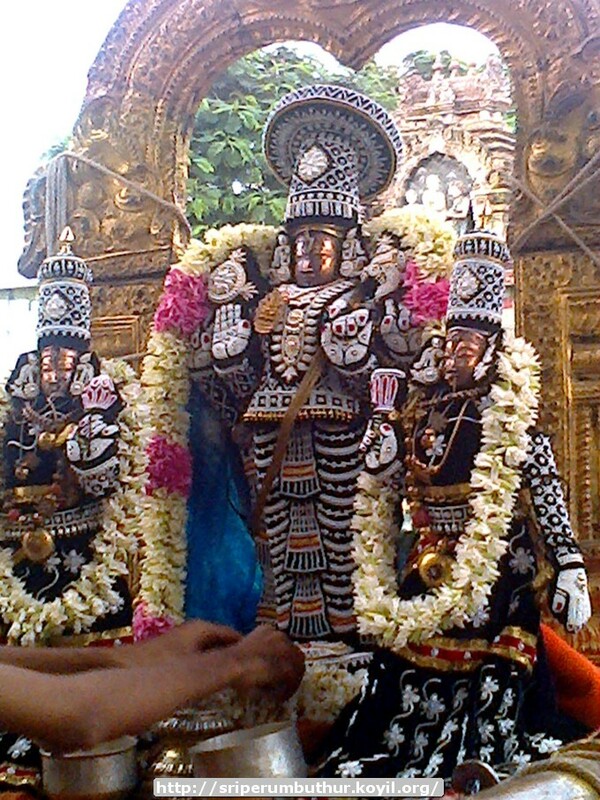 srIvaishNava granthams – charamOpAya nirNayam invocation – https://srivaishnavagranthamstelugu.wordpress.com/2015/09/10/charamopaya-nirnayam-invocation/ based on http://ponnadi.blogspot.in/2012/12/charamopaya-nirnayam-invocation.html – telugu translation (new article) by srInivAsa rAmAnuja swamy. Full series can be viewed at https://srivaishnavagranthamstelugu.wordpress.com/charamopaya-nirnayam/ . dhivya prabandham – thiruvAimozhi 1.7.4 – mayarvu aRa – http://divyaprabandham.koyil.org/index.php/2015/09/thiruvaimozhi-1-7-4-mayarvu-ara/ . Full series can be viewed at http://divyaprabandham.koyil.org/?page_id=23 . dhivya prabandham – thiruvAimozhi 1.5 – English – e-book link available at http://divyaprabandham.koyil.org/index.php/2015/03/thiruvaimozhi-1st-centum/ and http://divyaprabandham.koyil.org/index.php/e-books/ . Thanks to parAsaran (pradeep) swamy for preparing the e-book. Full series can be viewed at http://divyaprabandham.koyil.org/?page_id=23 . dhivya prabandham – thiruvAimozhi 1.7.3 – Ayar kozhunthAy – http://divyaprabandham.koyil.org/index.php/2015/09/thiruvaimozhi-1-7-3-ayar-kozhunthay/ . Full series can be viewed at http://divyaprabandham.koyil.org/?page_id=23 . dhivya prabandham – thiruvAimozhi 1.7.2 – vaippAm marunthAm – http://divyaprabandham.koyil.org/index.php/2015/09/thiruvaimozhi-1-7-2-vaippam-maruntham/. Full series can be viewed at http://divyaprabandham.koyil.org/?page_id=23 . dhivya prabandham – thiruvAimozhi 1.7.1 – piRavith thuyar – http://divyaprabandham.koyil.org/index.php/2015/09/thiruvaimozhi-1-7-1-piravith-thuyar/ . Full series can be viewed at http://divyaprabandham.koyil.org/?page_id=23 . This entry was posted in Uncategorized on September 6, 2015 by Sarathy Thothathri.